Speaker: Rev. 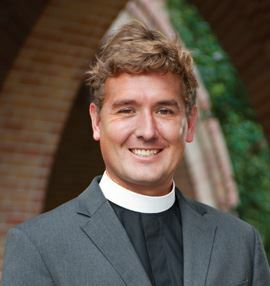 R.J. Heijmen, St. Martin's Episcopal Church. The Rev. Heijmen’s responsibilities include Stewardship and oversight of all Christian Education Ministries of the Parish. He continues to play a supervisory role in Student Ministries and is a regular participant in the Family Table service. After completing studies at the University of California, Berkeley, R-J started a young adult ministry at a church in California and was then called to be the New York City Area Director of FOCUS (Fellowship of Christians in Universities and Schools). R-J received his Master of Divinity from Trinity Episcopal School for Ministry and served as the Founding and Head Minister of St. Paul’s Church on the Upper East Side of Manhattan. R-J and his wife, Jaime, have two sons, Jackson and Spencer.